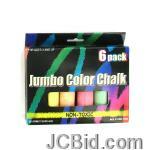 Great for chalkboards and sidewalks, this 6-piece Multi-Color Jumbo Chalk Set provides an affordable way to add to the outdoor play collection or indoor art supplies. 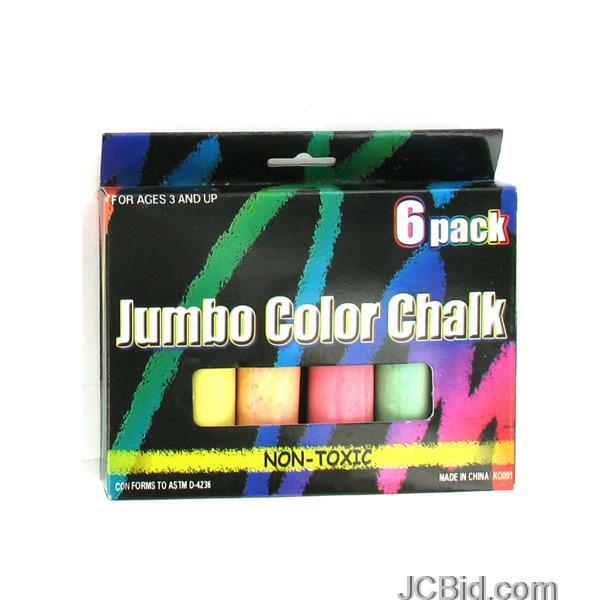 Non-toxic, these colorful chalks can be used to brighten driveways and sidewalks with original art or they can be used on black paper for striking drawings. Pack of six includes one of each color: pink, green, fuchsia, yellow, blue and orange. For ages 3 and up. Comes packaged in a hanging box. Box measures approximately 5.5" x 1" x 5.5".